Project Oliver 11 x 17 Poster! The Official Project Oliver poster designed by Roger Puente at Zoticus Design! designed by artist-photographer-director, Traci Goudie! 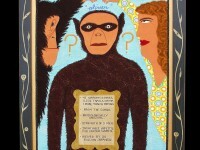 of “Humanzee”, by artist, Chris Roberts-Antieau! 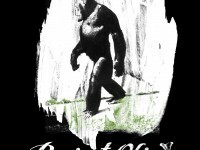 The artist has donated 10 Signed Limited Edition prints to benefit Project Oliver. Go to the “Make a Donation” link and donate $75.00 to the project. In the “Special Notes” section, please type that you would like 1 of the 10 “Humanzee Art – 11 x 17 Signed Limited Edition prints. 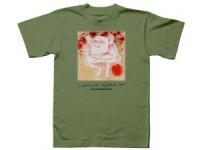 Purchase a T-shirt inspired by Oliver the Chimpanzee and designed by artist Heyd Fontenot. 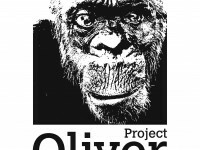 Stay tuned for updates on Official Project Oliver T-shirts and posters.